In order to effectively satisfy the increased appetite for multi-play offers the European Union telecoms sector has recently experienced immense mergers and acquisitions (M&As) on two fronts: On the one hand, the four-to-three mobile mergers, and on the other, the fixed/mobile (F/M) integration.1 This first part of a two-part article focuses on the four-to-three mobile mergers and remedies. The second part will concentrate on the F/M mergers. In her address at the 42nd Annual Conference at Fordham Commissioner Vestager said that when it came to telecommunications mergers, there are no magic numbers and as far as design of remedies is concerned, remedies that may effectively alleviate competition concerns in one merger may not prove to be equally effective in another.2 She also praised the Danish telecommunications market for its competitiveness and innovativeness.3 About a week before she delivered the speech two Danish mobile network operators (“MNOs”), TeliaSonera and Telenor, which had failed to be just as innovative in their design of remedies with regard to their concentration increasing four-to-three merger, withdrew their notification due to the impending risk of a prohibition decision being issued by the European Commission.4 Earlier during the year the European Commission (the “Commission”) had prohibited a merger between H3G and Telefónica UK, while the UK Competition and Markets Authority (the “CMA”) had unconditionally cleared a merger between British Telecom (“BT”) and Everything Everywhere (“EE”). Both the mergers involved the United Kingdom market for mobile telecommunications. Shortly thereafter the Commission cleared the H3G Italy/WIND/JV, a four-to-three merger, after the parties submitted a substantial set of remedies, including a carve-out that ensured the entry to the Italian telecommunications market of Iliad, a French MNO. Why does the Commission sometimes approve four-to-three mergers while at other times it prohibits them? What is the accepted number of MNOs in a given market? What kind of merger commitments ensure the Commission’s approval of a concentration-enhancing merger? 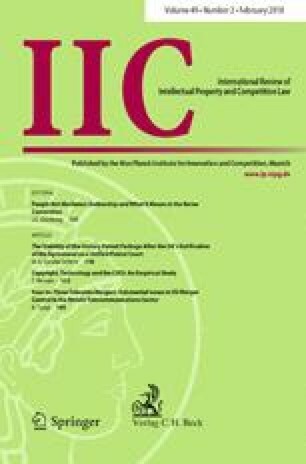 Employing an inter-disciplinary approach, using insights from law, economics and corporate strategy, this article first analyses strategic considerations and technological factors, such as convergence and multi-play offers, which have provided impetus for consolidation in the sector, and then follows that with an in-depth analysis of the very different outcomes in the aforementioned three prima facie very similar mergers which the Commission was notified of during the same time-period. This part of the article is organised as follows. Section 2 offers a brief overview of the technological side and factors such as convergence and multi-play offers that have disrupted the traditional notion of competition and services in the telecommunications sector. Section 3 examines the role of MNOs, Mobile Virtual Network Operators (“MVNOs”), mavericks and network sharing agreements (“NSAs”) in promoting innovation-led competition in the sector. Section 4 discusses in detail two sets of three recent mergers, each set experiencing a very dissimilar outcome: the first set comprises of three four-to-three mergers which the Commission was notified of during the time of Commissioner Joaquín Almunia; while the second set comprises of the more recent H3G Italy/WIND/JV, H3G UK/Telefónica and BT/EE mergers which the Commission was notified of during the time of Commissioner Margrethe Vestager. Section 5 further develops on the preceding sections, summarising Sect. 4 and, in the process, identifying trends in the assessment of future telecoms mergers and the design of remedies in future telecoms mergers. Section 6 concludes this part of the article. It is evident from both the supply-side (the resource-based perspective of a firm17) as well as the demand-side that such multiple play bundles are a potential strategy18 that maximises the welfare of both sides. The observation, although broadly true, merits prudence before one concludes that the strategy is also the more frequently followed one.19 The strategy acts along a continuum and, depending on the nuances of the given market concerned, there could be a range of models that a service provider can choose from. Mixed evidence on the uptake of multi-play offers has also prompted telecoms operators to pursue different M&A strategies: while some have focused on mobile mergers, others have considered F/M integration. At the retail level MNOs and MVNOs are the most effective sources of competition. There are also other service providers, such as branded retailers, but, from the perspective of competition in the market, MNOs and MVNOs are the most effective sources of retail competition.24 This section looks at the role of challenger MNOs, MNVOs and different kinds of network sharing arrangements and their role in promoting competition in the sector. This section also assesses whether MVNOs can position themselves as innovative and disruptive competitors at the retail level and whether it is reasonably feasible for them to upgrade themselves to MNOs. Service providers that own infrastructure and spectrum are known as MNOs. MVNOs, unlike the MNOs, do not have their own infrastructure; instead they negotiate and enter into complex network sharing agreements with the MNOs. This market is often referred to as the “wholesale market for access and call origination on mobile networks”, whereby there exists a vertical link between the MNOs that comprise the supply side and the MVNOs which are the demand side.25 Wholesale access is an essential input that enables non-MNOs to offer retail services. Obtaining access to MNOs is a complex process, in which MVNOs and other service providers first invite MNOs to bid for wholesale access contracts. Short-term business objectives and long-term strategic goals, such as optimising the usage of networks without congesting them and the cannibalisation of existing revenues, prompt MNOs to enter into or refrain from bidding.26 Due to its strategic objectives and short-term operational constraints an MNO may completely refuse to enter into an access agreement or may periodically choose to freeze the network of an MVNO. This total or partial foreclosure strategy can in turn adversely impact the ability of MVNOs to compete effectively at the retail level. The question then emerges is whether established MVNOs, such as Lycamobile, Lebara and Tesco Mobile, can be effective potential contenders that can upgrade themselves to MNOs. A decision to upgrade and operate as an MNO is dependent on the following factors: firstly, experience with the market (i.e. technical and commercial expertise); secondly, access to the network; thirdly, financial capacity; and finally, a minimum critical mass. Before an MVNO may consider the possibility of upgrading, it is absolutely essential that it acquires a minimum critical customer base that makes its conversion into an MNO a potential profitable strategy.48 When attempting to calculate these numbers, the Commission’s empirical analysis of the Irish telecoms market merits attention. The merging parties used a “variable cost analysis’ to show a market share of 3.8%, i.e. 112,000 Irish mobile users, was the “tipping point’ at which an MVNO may find it cost effective to upgrade itself to an MNO. Respondents to the Commission’s market test indicated that for calculation of the tipping point not only the variable costs but also CAPEX (Capital Expenditure) and spectrum fees should be included. Liberty Global, for example, calculated that 200,000 subscribers, which approximated to 5% of the market, was a suitable tipping point.49 To facilitate further analysis the Commission eventually adopted the average of those two estimates. In Liberty Global/Base the European Commission considered the possibilities of MVNOs evolving into an effective competitive constraint over time. Liberty Global/Base was a merger between Liberty Global (a Belgian cable operator that offered fixed internet, fixed telephony and cable services and retail mobile telecommunications services as an MVNO) and Base, which was one of the three MNOs in Belgium.52 Both Liberty Global’s MVNO and Base were aggressive competitors that exerted a significant competitive constraint in the Belgian retail market for mobile telecommunications services.53 Even though Liberty Global was dependent on the MNO for access to the network, it exercised an important competitive constraint at the retail level. Base was identified as an aggressive MNO that exercised an important competitive constraint on the other MNOs. The merger was therefore expected to considerably weaken retail competition. To alleviate the Commission’s concerns the parties offered a “fix-it-first remedy” of transferring their ownership of Mobile Vikings and Jim Mobile to Medialaan and offering the latter all incidental support, such as access to Base’s mobile network, so that Medialaan could in the long run evolve into an effective competitive constraint. The analysis of and remedies in four-to-three mergers, which is discussed further in Sects. 4 and 5, offers a valuable assessment of an MVNO’s potential and limitations with regard to offering meaningful retail competition and over time upgrading itself to an MNO. The significance of important competitive constraints” can be appreciated by noting the fact that even in mergers which involved other MNOs but were expected to otherwise adversely impact the competitive position of a maverick, the notifying parties had to offer commitments to eliminate those anti-competitive effects. The 2010 merger between T-Mobile and Orange was expected to adversely impact the RAN-sharing joint venture between 3UK and T-Mobile.66 It was expected to marginalise 3UK, a maverick in the UK mobile telecommunications market and the concentration was therefore viewed as a five-to-three merger (and not a five-to-four merger).67 To alleviate the concerns the parties offered to sign a new agreement with 3UK that contractually offered clarity and a commitment to promptly complete the integration of networks. The amended agreement was also significant in the respect that it did not have a termination clause.68 The commitments, though non-structural in nature, highlight the importance attached to mavericks and the role of network sharing agreements (NSAs) in promoting infrastructure-led competition. This article will turn to NSAs next. Mutual co-dependence in NSAs means that for the effective and optimum functioning of the networks the partners must have aligned interests and strategies.71 Each of the members of a network has veto power, which means that if one of the partners refuses to invest further in the network the subsequent development of infrastructure is prevented. In H3G UK/Telefónica Ireland, therefore, the Commission was concerned that the adverse impact on the NSA between H3G UK and Eircom could lead to the subsequent marginalisation of the latter. Between 2012 and 2014 the European Commission conditionally approved three four-to-three mergers: H3G/Orange Austria; H3G Ireland/O2; and Telefónica Deutschland/E-plus. This was during the term of Joaquím Almunia as EU commissioner for competition. In late 2014 a new commission was appointed and Margrethe Vestager replaced Almunia as the commissioner for competition. The start of her term was greeted by the notifications of three four-to-three mergers across the EU: TeliaSonera/Telenor JV; H3G UK/Telefónica UK; and H3G Italy/WIND/JV. Considering the consistent approach followed by the commissioners during their terms, and the substantial difference between their respective approaches, in this section these mergers are categorised in two groups and the emerging analytical framework assessed with regard to four noteworthy issues: theories of harm; use of quantitative tools; assessment of mavericks; and design of remedies in telecoms mergers. Section 4.1 presents the approach in H3G/Orange Austria, H3G Ireland/O2 and Telefónica Deutschland/E-plus, which are summarised in Sect. 4.1.4; Sect. 4.2 addresses TeliaSonera/Telenor JV, H3G UK/Telefónica UK and H3G Italy/WIND/JV, which are summarised in Sect. 4.2.4. This section looks at three four-to-three mergers (H3G/Orange Austria, H3G Ireland/O2 and Telefónica Deutschland/E-plus) that received conditional clearance during the term of Commissioner Almunia. The mergers concerned three very important and highly competitive markets in the EU: Austria, Ireland and Germany. Of particular noteworthiness in these three mergers is the innovativeness of the design of merger remedies. Hutchison 3G UK/Telefónica Ireland (O2) was a merger between O2 (the second largest MNO) and H3G (the last MNO entrant and a “challenger brand”) to create the second-biggest MNO in the Irish mobile market and generating substantial unilateral effects in the retail and wholesale market.93 Eircom and Vodafone were the other two MNOs active in the Irish market. During the term of Commissioner Almunia the Commission pursued that objective and showed some consistent trends in its assessment of four-to-three telecoms mergers and a very innovative approach in the design of remedies. The remedies reflect the special attention devoted to the somewhat complex relationship between MNOs, MVNOs and NSAs. Of particular noteworthiness is the impressiveness of the remedial design in Telefónica Deutschland/E-Plus and H3G UK/Telefónica Ireland, where each one of the challenges in this complex relationship, as discussed in Sect. 3 above, are well addressed. The remedies take due account of the challenges associated with restrictive access agreements and restricting contractual clauses that limit the ability of MVNOs to compete aggressively at the retail level. Additionally, the remedies also take due account of entry barriers, such as the substantial time period, access to spectrum, incentives to compete and the critical customer base that an MVNO must have in order to over time upgrade itself to an MNO. This section focuses, along similar lines as in Sect. 4.1 above, on three more recent four-to-three mobile mergers (TeliaSonera/Telenor JV, H3G UK/Telefónica UK and H3G Italy/WIND/JV), which the Commission was notified of during the term of new Commissioner Vestager, and tries to identify emerging trends for future telecoms mergers. In H3G UK/Telefónica UK the proposed remedies consisted of four principal components: (1) the Tesco Mobile commitment; (2) the new entrant operator (“NEO”) commitment; (3) the network sharing commitment; and (4) the wholesale market commitment.148 The parties offered to divest O2’s stake in Tesco Mobile so as to create an independent MVNO.149 The NEO commitment was an upfront commitment to offer access to O2’s network, in the form of a “perpetual fractional network interest”, so as to facilitate the entry of an NEO.150 Tesco Mobile and the NEO were to be offered access to a percentage of the joint network capacity of O2 and H3G.151 NEO was to be offered a capacity-based wholesale access, which was similar to the cost structure of the MNOs and, thereby, expected to maximise the NEO’s incentives to compete by optimally utilising the available capacity. According to the network sharing commitment the parties were to implement a “network integration plan” whereby the parties were to commit to using a certain fixed percentage from the Beacon grid and MBNL sites on a regular basis. The parties also committed to have firewalls in place with respect to the two NSAs.152 In case of disputes concerning “investment-related decisions” in the MBNL NSA agreement or the NEO commitment, the parties proposed a fast-track dispute resolution procedure.153 The wholesale market commitment offered an equivalent “quality of service”, as well as 4G and 5G services, to MVNOs. With regard to their existing MVNO customers the Parties committed to offer 4G and 5G services at the same rate as they charged for 3G services.154 However, the Commission found the commitments to be insufficient to effectively alleviate its competition concerns and decided to prohibit the merger. In TeliaSonera/Telenor, pending the Commission’s investigation, Commissioner Vestager, in an interview with the Financial Times, observed that the reaction of the stock market was an indicator of potential post-merger anti-competitive effects.160 Stock market data had been previously used in prominent econometric studies to evaluate the effectiveness of EU merger control.161 Interpretation of signals and the response of the stock market can be viewed as a step forward in utilising more quantitative techniques in EU merger control. In addition to unilateral effects, in this second set of four-to-three mergers vertical anti-competitive effects and potential co-ordinated effects are also assessed in great detail, in H3G UK/Telefónica UK and H3G Italy/WIND/JV, respectively. The text in Sect. 3 (supra) presents the principles of industrial organisation (IO) and game theory162 and makes clear the conditions under which a vertically integrated oligopolist may refuse to offer access to downstream competitors and the circumstances under which an oligopoly is likely to exhibit co-ordinated conduct. With regard to H3G UK/Telefónica UK, to make the discussion comprehensive and well-rounded, reference must be made to the UK CMA’s decision in BT/EE. The CMA, following a detailed phase-II inquiry, unconditionally cleared the BT/EE merger: a merger between BT, the largest supplier of fixed-line services and other telecommunications services, including an MVNO; and EE, an MNO. Before the merger BT’s MVNO was hosted on EE’s network. The parties’ activities in the provision of retail mobile and fixed communications services overlapped. BT also had a TV network and EE had recently launched a TV network that was expected to compete with BT’s.163 The CMA considered ten theories of harm, of which eight were studied in significant detail. It assessed the impact of the transaction on the supply of wholesale mobile services, and investigated whether the merged BT/EE could engage in total or partial foreclosure, and reached the conclusion that, even though the merged entity had the ability to harm fixed MVNOs by not bidding for wholesale access or by engaging in input foreclosure of rival MNOs for managed fibre mobile backhaul services or customer foreclosure for MBNL, the presence of four MNOs limited its incentives to engage in either input or customer foreclose.164 The conglomerate effects in the context of F/M bundling were also assessed: the CMA was of the opinion that the merger did not offer BT a unique competitive advantage that the other telecoms operators could not replicate.165 As the BT/EE merger was not expected to result in substantial lessening of competition in the retail or wholesale mobile market, the merger received unconditional clearance. In its assessment of the H3G UK/Telefónica UK merger the European Commission took due account of the CMA’s decision in BT/EE. In H3G Italy/WIND/JV the dependence of MVNOs on MNOs for access and restrictive MVNO clauses meant that they could not effectively replace the loss of an MNO.170 Similar issues were identified in the three cases discussed in Sect. 4.1 above. Worthy of note is the difference in the remedial approaches to comparable competition concerns in these two sets of telecommunications mergers, an issue which this article looks at next. This section outlines emerging trends for future telecoms mergers. Firstly the section presents some challenges that merit further research with regard to non-co-ordinated or unilateral effects and mavericks (Sect. 5.1) and, secondly, the elusive magic number of MNOs and designs for remedies in telecoms mergers (Sect. 5.2). For non-co-ordinated effects to arise the merging parties should compete closely in the relevant market. The more closely they compete, the more likely, and to a greater extent, the merger is likely to reduce the competitive pressure.171 Two issues merit attention: one is the use of qualitative techniques for a finding of unilateral effects; the other is that in the EU it suffices when the parties are one another’s close competitors.172 That standard is much lighter when compared with the US standard, where for a finding of a unilateral effect the parties need to be one another’s “closest competitors”. In both sets of the cases described in Sects. 4.1 and 4.2 unilateral effects have been identified on the basis of “closeness of competition”. In all of the cases discussed above the Commission identified a new or the latest player as the maverick. Economic theory suggests that this behaviour exists due to the “excess capacity” of the new entrant and lasts during the period of transition. It may be referred to as the “tatônnement process”, as the entry of a new player disrupts the prevailing equilibrium and the market participants try, collectively, to reach a “new focal point”.173 Additionally, in four of the six cases discussed above H3G174 was identified as the maverick. This makes one wonder whether “maverick-like” behaviour is a conscious business strategy of H3G and it may actually be pursuing the Commission’s long cherished objective of bringing about the single telecoms market. Inter-disciplinary research, with inputs from economics and corporate strategy, may offer valuable insights into the behaviour of mavericks such as H3G. That can in turn offer valuable insights for competitive assessment of mavericks in telecoms mergers. As regards what the optimum number of MNOs in a given market is, as noted by Commissioner Vestager, there are no magic numbers. During the term of Commissioner Almunia that number appeared to be three, with many four-to-three mergers receiving conditional clearance. During the term of Commissioner Vestager that number appears to be four. The approach of the competition authorities is also significantly influenced by the size of the relevant geographic market. In this regard, the approach of national competition authorities (NCAs) merits attention. In Switzerland, considering the size of the market, where four MNOs would be practically impossible to sustain, and two operators could lead to collective dominance, the Swiss Competition Commission (the Wettbewerbsbehörde) found three to be the optimum number and prohibited a three-to-two merger between Orange and Sunrise.175 The Swiss Commission’s analysis indicated that the merger would lead to the loss of a maverick as well as a position of collective dominance for the merged parties and Swisscom in the retail market and the market for wholesale access – a competitive harm that could not be alleviated by any set of remedies.176 This argument finds support in a study of the French mobile market, where the French competition authority (the Autorité de la concurrence) noted that even when the strict conditions of Airtours/Firstchoice were not met, there was sufficient evidence that indicated a collective interest of the MNOs in a three-MNO market to refrain from offering wholesale access to MVNOs on favourable terms.177 In H3G UK/Telefónica UK, as discussed above, the CMA and Ofcom in their submissions to the European Commission consistently maintained the position that four was the magic number of MNOs required to preserve the competitiveness of UK mobile market. An OECD study on network sharing observed that even though four-MNO markets are generally more competitive, there is no actual “golden number” of MNOs that can ensure competitive markets. It is the “intensity of competition” that is the key to competitive markets. In Portugal, which is a three-MNO market, consumers have in the past benefited from many disruptive offers, such as a “premium roaming offer”, on account of aggressive retail competition.178 Economic theory suggests that the prisoner’s dilemma that eventually prompts MNOs to offer wholesale access to MVNOs is evident in a market with three or more MNOs, where the additional revenue effects far outweigh the competitive constraint imposed by an MVNO.179 In a market with three or more MNOs, MNOs voluntarily offer wholesale access to MVNOs under both the Cournot and Bertrand model of competition.180 Overall, whether three, four or three and a half is the optimum number remains a debatable issue, both from the perspective of competition policy and economics. Recent decisions of the Commission underscore that its decisions are influenced significantly by what it seeks to achieve from the remedies. As is shown in Sect. 4 above, the major differentiating factor in terms of the Commission’s approach in the two sets of mergers has been with regard to design of remedies. Considering the substantial sunk costs in telecoms, 2–3 years may be a very short timeframe to assess the effectiveness of the above-mentioned remedies. However, ex-post studies and emerging evidence from enforcement of the aforementioned remedies had a significant influence on the approach of the Commission in subsequent four-to-three mergers. It may be true that structural remedies, like a surgical operation, clearly address the issue of market structure; however, behavioural remedies can also offer the desired “structural” solution by having an effect-based impact on the market equivalent to an effective medicine.199 It appears that this has been the principle difference in the approaches of the two Commissioners. For Commissioner Vestager mere access is not sufficient, a clear divestiture is a more appropriate remedial design. Following the conditional clearance of a merger that reduced the number of MNOs from four to three in the EU’s largest market, Telefónica Germany/E-Plus was seen as a signal that the European Commission was willing to accept the reduction of the number of MNOs in a Member State from four to three, provided that suitable remedies were proposed that preserved the conditions of competition in the relevant national market. In H3G Italy/WIND/JV the identification of an upfront buyer, Iliad, an operating MNO in the neighbouring French market – that met the “standard purchaser requirements” of independence, possessed the requisite financial resources and expertise, and had viable incentives to evolve into an MNO – played a key role in the Commission’s conditional clearance. However, divestiture is not as risk-free as the current approach of the Commission to remedy design may suggest.205 In the same way, behavioural remedies are not without their own set of limitations. Continuous post-merger intervention in a market over a period of time can adversely affect the competitive process.206 A recurrent challenge with divestitures is significant deterioration of the divested assets to undermine its competitive strength.207 To solve this problem in the recent telecoms mergers the Commission insisted on an up-front buyer or fix-it-first remedy. In future mobile mergers commitments that clearly preserve four MNOs through divestment and the identification of an “upfront buyer” may play a decisive role in receiving the approval of the Commission. Assessed against this backdrop, the remedies in H3G/WIND/JV went a step further: as first in addition to the divested assets they involve the transfer of customers to a new MNO entrant. That implies that in addition to the integration of networks and infrastructure the remedies add substantially to the transaction costs in terms of gaining the consent of customers. Sluggish uptake due to consumer inertia may be partially explained by the bounded rationality of the average consumer.226 In the long run neo-classical economics suggests that rationality would prompt consumers to switch to the most value-optimising alternative. In a sector which faces long-term investments and substantial sunk costs, decisions premised on short-run consumer behaviour have the potential to adversely impact the process of dynamic competition. As regards merger remedies, there is no text book authority or clear empirical evidence that may support the superiority of one type of remedies over another. From the dimension of property rights, whereas structural remedies change the ownership of property rights, behavioural remedies “only” define limits by setting constraints to the property rights or behaviour of the merging parties.227 The only conclusion we can safely draw is that the choice and design of remedies is a case-specific question, which is subject substantially to the relevant market and theory of harm under deliberation.228 This article makes the following contribution to this debate that the distinctive nature and the level of convergence and innovation in the telecommunications sector, which offers the potential to disrupt the very limits of the relevant markets, merits imperative consideration in the design of remedies to promote competition and innovation. Additionally, the observation, though made with reference to the ever-converging telecommunications sector, holds with equal rigour across the entire Information Communications and Technology sector – an issue dealt with in greater depth in the second part of this article. Schubert (2016); Manigrassi et al. (2016), pp. 1–2. Speech by Commissioner Vestager dt. (2015). TeliaSonera/Telenor/JV (Case M.7419), Commission Decision,  OJ C 316/01. Speech by Tirole dt. (1999), pp. 4–6; de Streel (2011), pp. 75–76. de Streel (2011), pp. 77–80 and 84–87; Cave (2004), pp. 30–32; Huveneers and de Streel (2009), pp. 341–342. The Regulation defined the local loop as the physical circuit that connects a subscriber’s premises to the main distribution network or an equivalent local facility. Speech by Tirole dt. (1999). Proposal for a Directive (2016), p. 3 and 17. For an appreciation of a firm’s “Absorptive Capacity”, which is its ability to identify valuable external information and internalise that for commercial success, and associated theoretical and empirical foundations based in transaction cost economics and resource-based view of a firm, see Cohen and Levinthal (1990). See Lee and Lee (2008), pp. 44–53. The authors take an empirical study based on OECD data and find that the triple-play strategy inter alia led to significant increases in the ARPU of telecommunications service providers, though the quadruple-play strategy did not have a substantial impact on ARPU. Hutchison 3G UK/Telefónica UK (Case M.7612), Commission Decision,  OJ C 357/08, at para. 182. Hutchison 3G Italy/Wind/JV (Case M.7758), Commission Decision,  OJ C 391/05, at paras.167 and 214. Ibid., at paras. 1836 and 1873. Lee et al. (2008), pp. 17–19. Hutchison 3G UK/Telefónica UK, supra note 24, at para. 181. Prisoner’s dilemma is a dilemma faced by the parties wherein given a lack of complete and perfect information, both of the parties are unaware of the choice of the other party. Confronted with a dilemma both the parties are likely to choose an outcome which ultimately makes them both worse off. Brito and Pereira (2010), p. 662. French Conseil de la concurrence 2008, at para. 90. Hutchison 3G Italy/WIND/JV, supra note 25, at paras. 213–215. Hutchison 3G UK/Telefónica UK, supra note 24, at paras. 1811–12 and 2209–10. In this decision different types of MVNOs, service providers, MVNAs and MVNEs were collectively referred to as non-MNOs. Hutchison 3G UK/Telefónica UK, supra note 24, at para. 977. French Conseil de la concurrence 2008, at paras. 39 and 47. Hutchison 3G UK/Telefónica UK, supra note 24, at para. 1024. Hutchison 3G Italy/WIND/JV, supra note 25, at para. 869. French Conseil de la concurrence 2008, at para. 83. Hutchison 3G Ireland/Telefónica Ireland (Case No COMP/M6992), Commission Decision,  OJ C264/6, at paras. 946–48. UK Ofcom (2015), at para 1.44. Fauver and Ramanarayanan (2016), p. 74. Liberty Global/BASE Belgium (Case M.7637), Commission Decision,  OJ C141/06, at paras. 7–10. Hutchison 3G Italy/Wind/JV, supra note 25, at paras. 1226–27. Bourreau and Dogan (2001), p.173. See de Launay (2014), « Je me suis acheté un château, ce n’est pas pour laisser les romanichels venir sur les pelouses. ». French Conseil de la concurrence 2008, at paras. 94–95. Hutchison 3G Italy/Wind/JV, supra note 25, at paras. 1920 and 1969–70. Hutchison 3G UK/Telefónica UK, supra note 24, at paras. 2028–29 and 2036–42. Ibid., at paras 2204 and 2209–10. French Conseil de la concurrence 2008, at para. 94. EU Merger Regulation 2004, para 37. Bourreau and Dogan (2001), p.177. Hutchison 3G Italy/WIND/JV, supra note 25, at paras. 432–433 and 437–438. T-Mobile/Orange (Case No COMP/M.5650), Commission Decision,  OJ C108/03, at paras. 80–85. Hutchison 3G UK/Telefónica UK, supra note 24, at para. 1233. CAPEX refers to Capital Expenditure such as the cost of acquisition of fixed assets and undertake new projects and investments. They can be considered as sunk costs. OPEX are the Operating Expenses incurred in the course of daily operations. These are the equivalent of variable costs. Hutchison 3G Italy/WIND/JV, supra note 25, at paras. 97–113. OECD (2015), p. 69; Rey (2004), pp. 27–28. Hutchison 3G UK/Telefónica UK, supra note 24, at paras. 1293–97, 1737–42 and 1784–85. In this case, however, the Commission’s theory with regard to harm was reduction in incentives to invest and not co-ordination effects. OECD (2015), p. 70; Rey (2004), pp. 27–28. GUPPI is a quantitative technique used to assess the incentives of a merged entity, in the absence of any synergies, to unilaterally increase prices following a merger. Hutchison 3G Austria/Orange Austria (Case COMP/M.6497), Commission Decision,  OJ C224/12, at paras. 175–249. Telefónica Deutschland/E-Plus (Case M.7018), Commission Decision,  OJ C086/7, at para. 254. Ibid., Annex A: The Commission’s Quantitative Analysis, Section 2 Common Framework: Bertrand-Nash Competition in Differentiated Products, at para. 17. Hutchison 3G Ireland/Telefónica Ireland, supra note 49, at paras. 47 and 62–65. Hutchison 3G Austria/Orange Austria, supra note 86, at paras. 254–65. Telefónica Deutschland/E-Plus, supra note 87, at paras. 845–46 and 1303. Hutchison 3G Ireland/Telefónica Ireland, supra note 49, at paras. 179–86. Hutchison 3G Austria/Orange Austria, supra note 86, at paras. 520–21. Telefónica Deutschland/E–Plus, supra note 87, at paras. 1303–67. Hutchison 3G Ireland/Telefónica Ireland, supra note 49, at para. 916. Ibid., at paras. 901 and 978. Lindsay and Berridge (2012), pp. 42–55. Marginal customers should be differentiated from core customers. It is argued that following price increases marginal customers are most likely to switch to substitute products and services. Competition Merger Brief 3/2016, p. 5. Hutchison 3G UK/Telefónica UK, supra note 24, at para. 115. Hutchison 3G Italy/Wind/JV, supra note 25, at paras. 27–67. Hutchison 3G UK/Telefónica UK, supra note 24, at para. 953–57. Hutchison 3G Italy/Wind/JV, supra note 25, at para. 981. Hutchison 3G UK/Telefónica UK, supra note 24, at para. 2876. Ibid., at paras. 2645 and 2888–96. Ibid., at paras 2967–68 and 2644–47. Ibid., at paras 2962 and 2893. Hutchison 3G Italy/Wind/JV, supra note 25, at paras. 1739–99. Ibid., at paras. 1788 and 1792. Game theory may be defined as economic and mathematical modelling of conflict and co-operation between intelligent and rational decision-makers. See Myerson (1997). UK CMA, BT/EE, at paras. 14.28 and 14.45. HDD refers to Hard Disk Drive. HDDs are magnetic data storage and retrieval devices to store digital information. See Arpaci-Dusseau and Arpaci-Dusseau (2014). Seagate/HDD Business of Samsung (Case COMP/M.6214), Commission Decision,  OJ C154/08, at paras. 6–11. Western Digital/Hitachi (Case COMP/M.6203), Commission Decision,  OJ C241/11, at paras. 31–44. GC, Case No. T–399/16, CK Telecoms UK Investments Ltd v European Commission (Currently Pending Appeal). Hutchison 3G Italy/WIND/JV, supra note 25, at paras. 865–899. EU Horizontal Merger Guidelines 2004, at paras. 17, 26 and 28–30. This article consistently refers to Hutchison 3G as H3G in order to highlight the role of the parent company CK Telecoms UK Investments Ltd in pursuing a uniform disruptive strategy across the European Union. H3G currently operates under the brand name “Three” or “3”. Swiss Competition Commission, France Télécom SA/Sunrise Communications AG, at para. 429. French Conseil de la concurrence 2008, at paras. 22 and, 98. OECD (2015), pp. 8 and 18. Dewenter and Haucap (2006), pp. 324–326. Hutchison 3G Austria/Orange Austria, supra note 86, at para. 539. Telefónica Deutschland/E–Plus, supra note 87, at para. 1390. Hutchison 3G Ireland/Telefónica Ireland, supra note 49, at paras. 1022–26. Statement by Commissioner Vestager dt. (2015). Erharter and Gruber (2016), p. 3. Hutchison 3G UK/Telefónica UK, supra note 24, at para. 2992. Ibid., at paras. 2803 and 3127. Hutchison 3G Italy/Wind/JV, supra note 25, at para. 1798. GC, Gencor v. Commission, at paras. 318–20. Telefónica Deutschland/E-Plus, supra note 87, at para. 1382. Papandropoulos and Tajana (2006), p. 447. ICN Merger Remedies Review Project (2005), pp. 8–10. World Com/MCI (Case No IV/M.1069); Commission Decision/287/EC,  OJ L116/01; US DOJ Press Release dt. (1998). European Commission Press Release dt. (2000). Hutchison 3G UK/Telefónica UK, supra note 24, at para. 64. UK CMA, BT/EE, at para. 14.147. Knoll (2008), p. 163; Arthur di Little (2017); Pyramid Research (2015). Garzaniti and O’Regan (2010), p. 60. Enders Analysis (2015), Hutchison 3G UK/Telefónica UK, supra note 24, at para. 76. Hutchison 3G UK/Telefónica UK, supra note 24, at paras. 701–702, UK Ofcom (2015). Hutchison 3G UK/Telefónica UK, supra note 24, at paras. 77, 91. Drexl (2016), p. 10; Ezrachi (2017), pp. 60–62. Open access funding provided by Max Planck Society. I am grateful to Prof. Dr. Josef Drexl (Director of the Max Planck Institute), Prof. Dr. Peter Picht (University of Zurich) and Prof. Dr. Subhashish Gupta (the Indian Institute of Management, Bangalore) for their comments and valuable suggestions on my research. The views expressed in this article, and any errors or omissions, are my own.